Department of Military and Veteran Affairs Park & Walkway - MAST Construction Services, Inc. 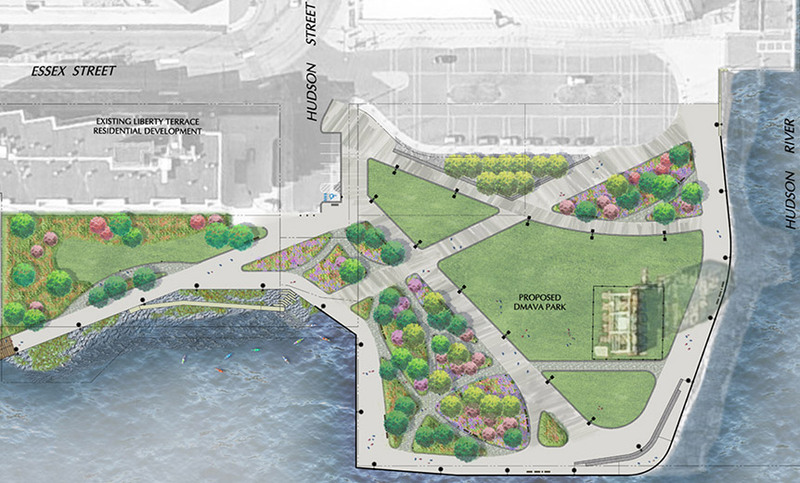 The DPMC has embarked on the stabilization of waterfront in Jersey City. The team is responsible for stabilization of structure, development, pedestrian concourse and Department of Military and Veteran Affairs Park Installation in Jersey City. Fronting the Morris Canal Basin (from Green Street) down to Goldman Sachs at the Hudson River is approximately 1500 linear feet that is being redeveloped into a pedestrian walkway. This project includes a kayak launch and open space of approximately 105,000 SF that will become green with various paths to serve the offices and residential developments in the area. This site may become the new home to The Colgate Clock.